An inflatable travel neck pillow featuring your branding. 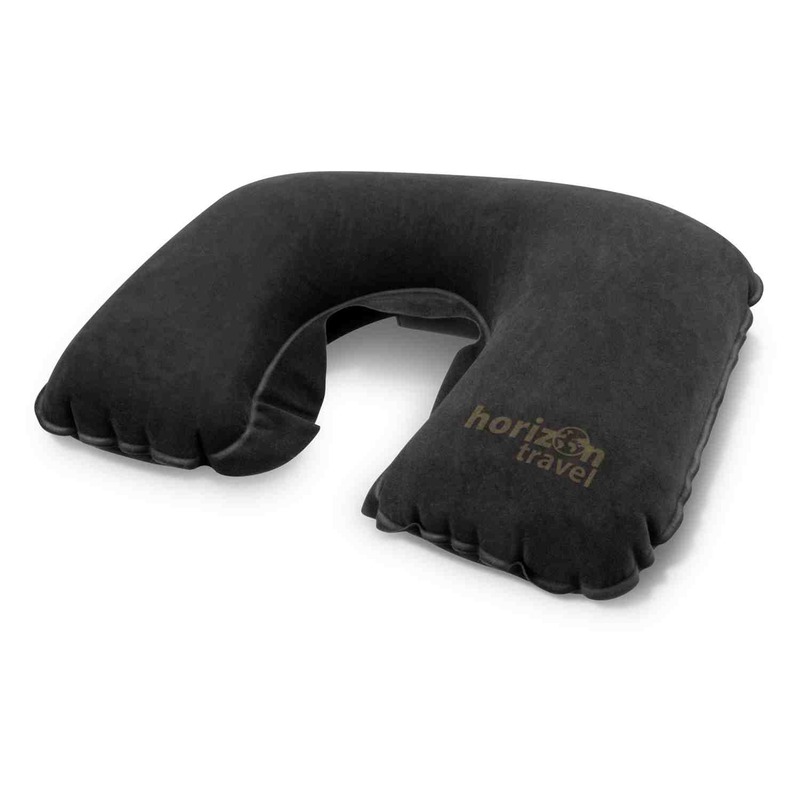 Feel like you're on cloud 9 when you travel with some of these comfy neck pillows. Whether you're in the car, on a bus, flight or train these will allow you to sleep almost anywhere. They're an inflatable neck pillow with a comfortable soft touch velvet finish. These can be laser engraved to a matt brown colour.